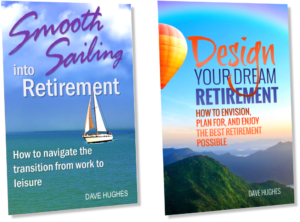 Smooth Sailing into Retirement will guide you from your last few months of work through your first year of retirement. It identifies the many ways your life will change and prepares you for the emotions you may experience along the way. At each step, you will receive strategies for dealing with these changes. This book will show you how to design your new day-to-day life in a way that will reflect your passions and interests. You will be inspired to create a new identity for yourself that embodies the way you plan to live in retirement and frees you from the limitations of your former job title. 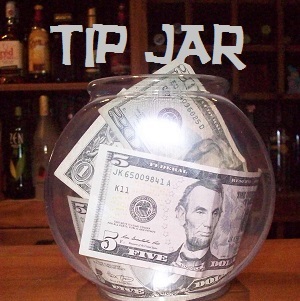 You will also identify and eliminate old habits and activities that may no longer serve you well in retirement. 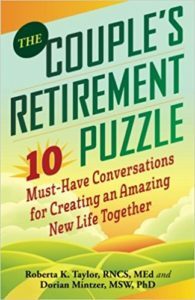 If you are partnered, this book examines the ways your relationship with your spouse will change, whether you are both retired or one of you continues to work. If you are single, this book addresses the challenges that are specific to retiring as a single person. 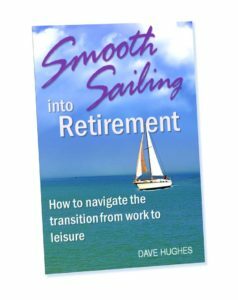 Smooth Sailing into Retirement is an essential companion for your transition from work to leisure. Click here to download a sample chapter! 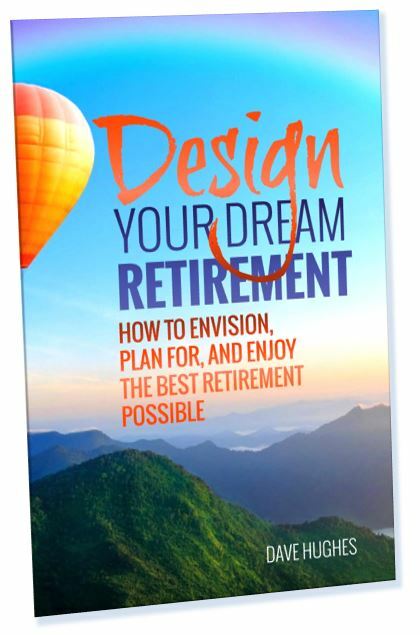 Design Your Dream Retirement will show you how to visualize your retirement in an optimistic, possibility-filled light, and provide you with the knowledge and tools to help you create a plan for achieving your retirement dreams. You will be inspired to rediscover and reinvent the real you – the you that has probably been buried by years of adapting to the demands of your career. While there’s no question that saving and financial planning will make it easier for you to enjoy your retirement, you know that money alone does not buy happiness. You will learn how to fill your life with a balance of activities and pursuits to keep you happy, healthy, and fulfilled. 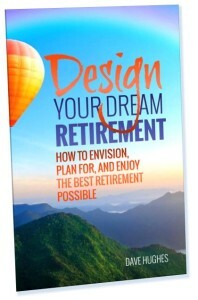 This book will help you envision, plan for, and ultimately enjoy the best retirement possible. Ernie Zelinski is arguably the leader in retirement lifestyle books and philosophy. Ernie has great advice on topics such as how to find your true purpose, make the best use of your leisure time, pitfalls to avoid, traveling, learning, and overall life happiness. 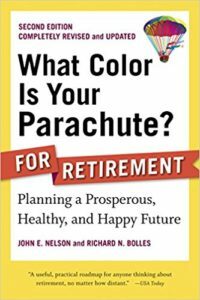 The book is subtitled “Retirement wisdom that you won’t get from your financial advisor.” Some of his case studies and reader stories leave me wondering how the people he profiles financially support themselves doing some of the things they do. 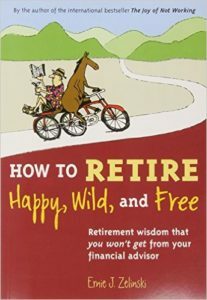 But that aside, the book is full of wisdom, good humor, and refreshing new ways to look at retirement and leisure time. Available in paperback, Kindle, and audio. This is the best book I have found that covers the issues couples should be talking about as they examine their values, identify and compare their dreams for the future, and plan their retirement. This easy-to-read book is loaded with stories and case studies, and it’s full of practical advice. From the authors who brought you What Color Is Your Parachute?, the world’s best-selling career book, What Color Is Your Parachute? for Retirement offers both a holistic, big-picture look at these years as well as practical tools and exercises to help you build a life full of security, vitality, and community. 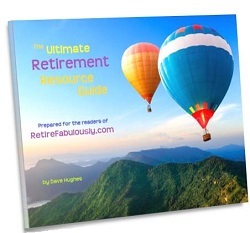 More than a guide on where to live, how to stay active, or which investments to choose, What Color Is Your Parachute? for Retirement helps you develop a detailed picture of your ideal retirement, so that—whether you’re planning retirement or are there already—you can take a comprehensive approach to make the most of these vital years. This book offers a no-holds-barred expose on what life is really like in the largest 55+ adults-only retirement communities. Blechman spent several months living in The Villages, Florida’s enormous planned retirement community, and also visited Arizona’s Sun City and a few others. The writing reflects the author’s bias (he doesn’t favor the concept of age-segregated communities), but the book is factual and thoroughly researched. Available in paperback, hardcover, and Kindle. 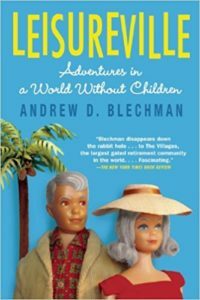 Note that the hardcover version is titled Leisureville: Adventures in America’s Retirement Utopias, but it’s the same book. The key to a successful retirement lies in your personality, not in your bank account. 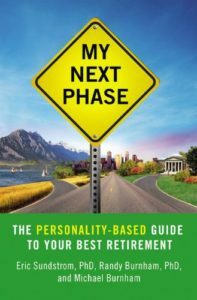 This book offers a revolutionary, step-by-step process to figure out your personal “Retirement Style” and creates a unique retirement plan based on who you are. This book leads you to reflect upon your own personality (and that of a significant other if you have one) and helps you to be more successful in retirement.